Reflexology is a branch of alternate medicine or the science of using the various pressure points in our body to relive stress or pain. There are several reflex or pressure centers in our body like a particular thumb or finger, or hand and reflexology stimulates them using any external materials like lotions and oils. You may see Word Reflexology Chart Templates. Reflexology is used in accordance with the pressure centers of our body along with the reflex centers. It is a science that has been used to cure or reduce many medical conditions over the generations. For those carrying out such treatments, the use of Reflexology Charts is always recommended. These charts contain information regarding the different reflex areas of our body, like the foot, and can be consulted when needed. If you didn’t know already, our foot contains numerous reflex areas. 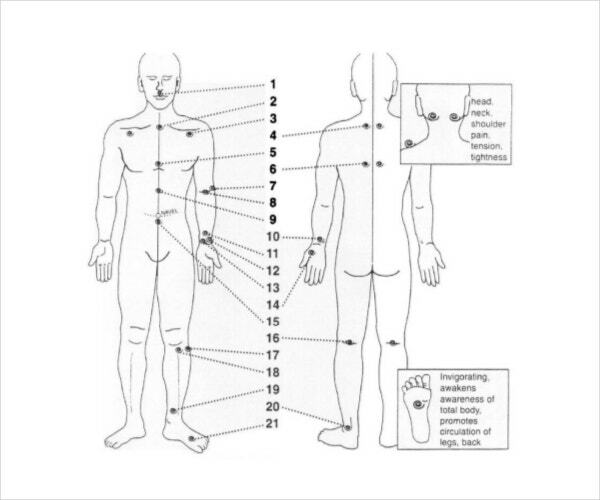 All these areas and the pressure points are portrayed on the foot reflexology chart templates. These cover the entire area from the sole of the foot to the lateral section. The medial section is also covered here. In most reflexology related healing practices, the hand is paid close attention to. 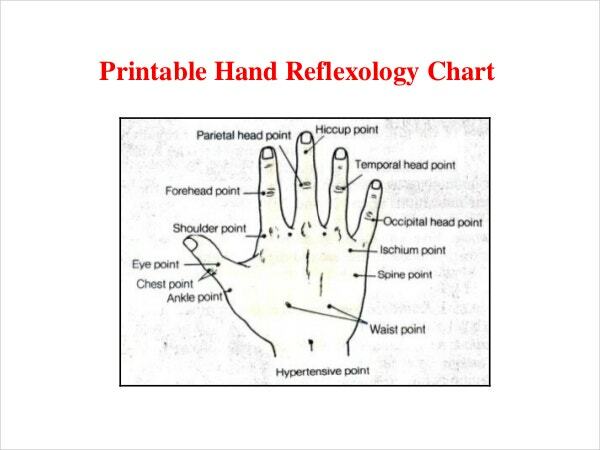 That is why hand reflexology chart templates are widely used. 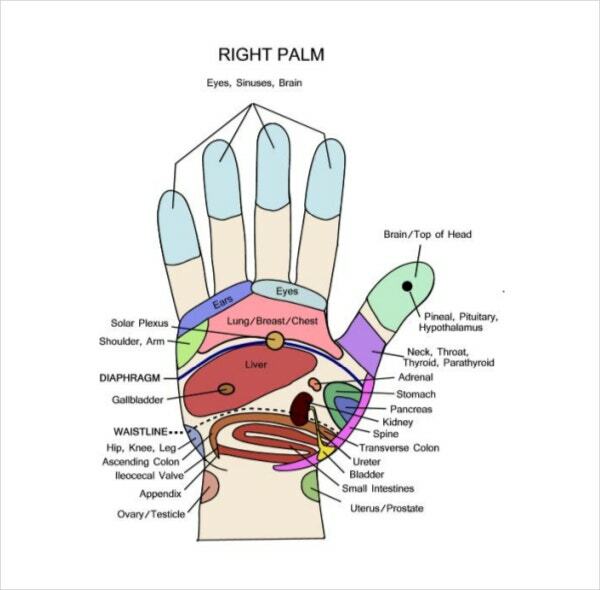 These portray all the important areas on our hand, right from the surface of our palms to the very tips. Did you know that our ear is jam packed with nerves and nerve endings? That makes it ultra sensitive. That is precisely why this body part is used in healing practices. 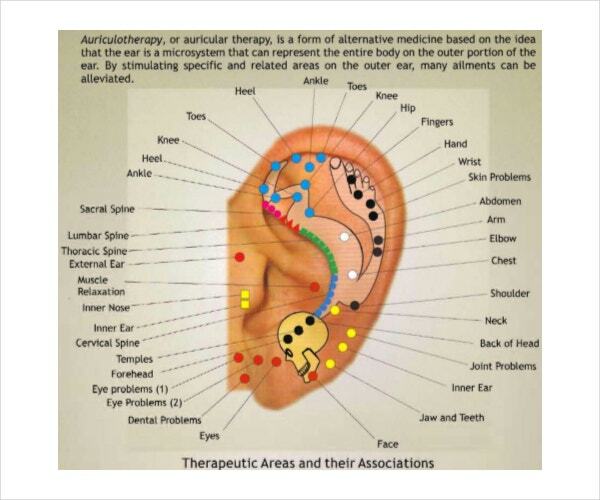 Reflexology charts often contain a lot of information on the portions of the ear, like the outer ear. If you observe carefully, you’ll notice that massaging the face can produce relaxation. That is because of the reflex areas on the face, which have been showcased in the face reflexology chart templates. It covers the area from the cheekbone to the nose. > Why Should You Use Reflexology Chart Templates? Even though reflexology is a form alternate medicine, it is based on years of scientific and medical research. All the information in reflexology is valid and meaningful. If you have just started practicing reflexology, it would do you good to actually have the information in front of you at all times. That is only possible with reflexology chart templates online. These charts are of different types, and you can download Free MS Word Baby Weight Chart Template based on your needs. You can also edit them to add a few points. These could serve as sample reflexology chart templates as you practice reflexology. That would ensure that you’re able to treat your customers and help them out if they are in pain. So try one out today itself! > How To Create Reflexology Charts Using Templates? You have done the right thing by deciding to download reflexology chart templates. These will certainly help you out. There are different aspects of practicing reflexology. The kind of template you choose will essentially depend on the kind of practice you have. For example, if you have expertise in foot reflexology, you will need a foot reflexology chart template. On the other hand, if you practice face reflexology, you will need a face reflexology chart template. Also, make sure that the information is presented in a clear and organized fashion. That will certainly come in handy. You can also check Microsoft Word Template Online. First, you must ask yourself a few questions. Like, what kind of reflexology do you specialize in? Is it foot reflexology? Or is it ear reflexology? Then, you must ask yourself about the kind of template you want. Having answered these, you can proceed to the next step. The next step is the selection of the template. Do not be impulsive while selecting the template. Browse through the list displayed to you, and make sure you weigh the pros and cons of each. You can make an informed decision on the basis of that. Go for reflexology chart templates which contain the maximum information. That is the whole purpose of downloading a reflexology chart template, isn’t it? You need to have a thorough knowledge of the working of the human body and its various parts before you start. You also need to know the pressure points of each body part, and the reflect areas. If you do not know about it, you can resort to the templates which provide adequate information. That is why you need informative reflexology chart templates. Do not forget to mention any details that might be important. Mention all details that you think are significant. You can create a rough draft before working on the actual template. Make sure the template contains comprehensive information. Keep it short, concise and meaningful. 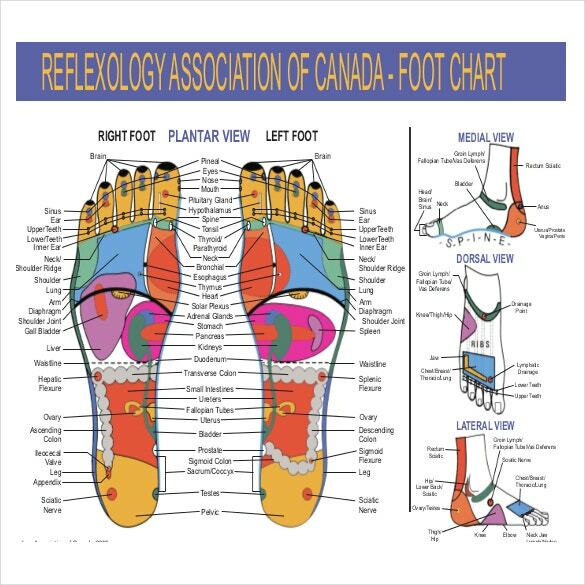 A reflexology chart is no ordinary chart, it must be created after thorough research. If you do not know about the reflex areas of our body, you may need to Take the Help of these Templates which are found online. You can use them whenever you need to gather more information about a particular part of our body, and use it to your advantage. If you do it without being sure, you could end up hurting the person you’re treating. At template.net, we have an amazing collection of downloadable reflexology chart templates. All our Reflexology Chart Templates are Differentiated on the basis of reflexology being talked about. Thus you will find extensive information about the different kinds of reflexology that exist. You can make use of that knowledge to gather expertise in that field. So what are you waiting for? Download one of our templates, and give it a try!